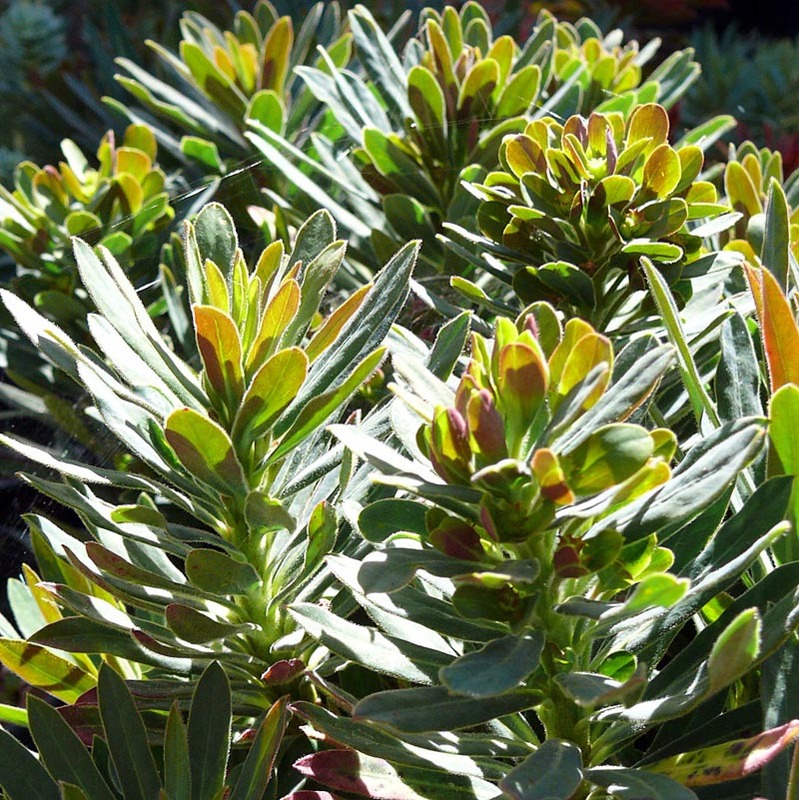 Compact mound of blue-green foliage to 20″. 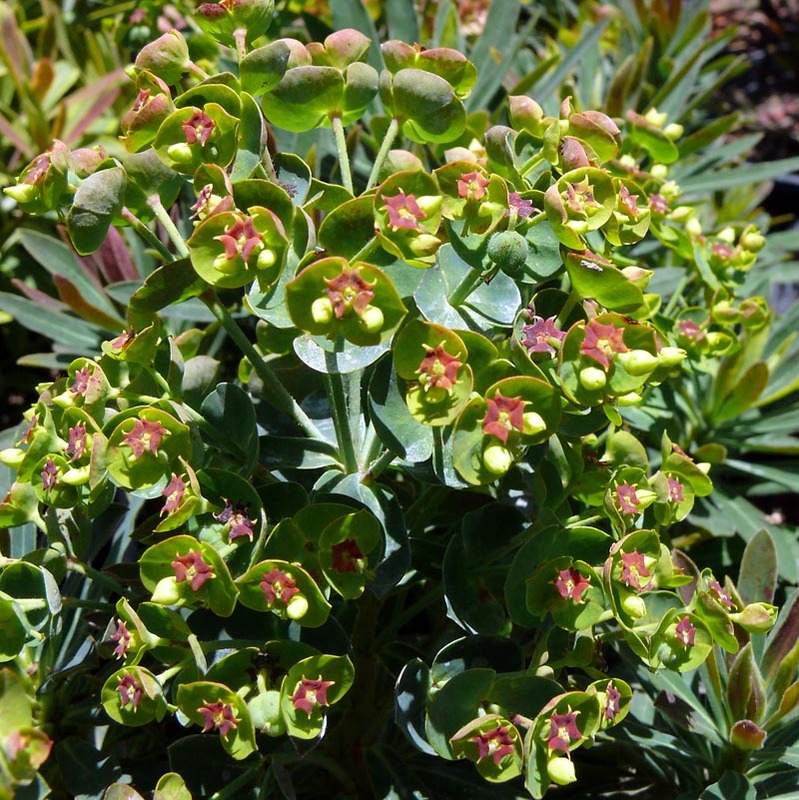 In the late winter the developing flower stems and flower clusters turn deep red. Yellow blooms in spring. Deer-resistant.